A project reported and written by Joe Buettner that ran on OUDaily.com last fall was named a finalist today for the Online Journalism Awards in the student pro-am category. HEI6MAN EVOLUTION was an eight-part project that rolled out weekly from midseason through the Heisman Trophy award presentation last fall. Buettner wrote it as a student in an independent study class and the work was presented by The OU Daily, where he previously worked, with teamwork from editors, designers, videographers, photographers, copy editors, etc. The nation’s top collegiate online sports reporting effort, per the Society of Professional Journalists’ Mark of Excellence contest. A finalist for profile writing in the Hearst Journalism Awards. Second place for sports story in the Oklahoma Press Association’s Better Newspaper Contest. It was also part of his entry that earned him a top 10 finish in APSE’s college sports reporters contest. 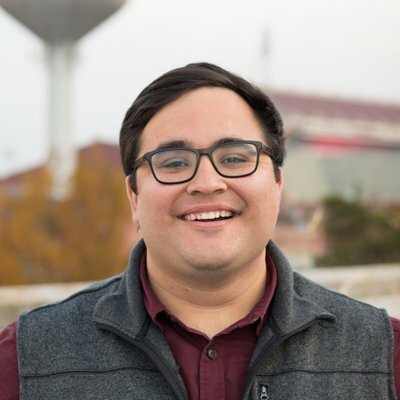 Buettner, a December 2017 graduate, who wrote for DieHards.com, is now a digital content producer at Fox 25 in Oklahoma City. Winners will be announced at the Online News Association conference on Sept. 15 in Austin.